Your child music education is important to you. We get it. Perth Music Academy is here to provide the highest standards in music education and strives to achieve extraordinary results even from ordinary students. At PMA, we create an atmosphere where your child will experience continual musical, intellectual, and emotional growth and eventually become an independent learner. We accept students wanting to pursue music for examinations as well as playing for leisure. PMA was the initiative of Ms. Hulda Budilestari who received her Master’s Degree in Piano Performance and Pedagogy from one of the world’s highly-esteemed music schools, Southern Methodist University in Dallas, Texas, USA. Perth Music Academy currently specialises in private lessons for piano and violin. Lessons are done one on one, once a week. Our students’ understanding of musical concept, solid technique development and musical artistry are very important to us. We also provide the popular, fun early music education for the little ones: KiddyKeys. All students deserve to receive instruction from the finest music teachers available. This means PMA only selects qualified music teachers who cares about nurturing the love of music in children. Positive and caring influence will help students to grow musically, intellectually, emotionally and to develop self-esteem. Our experienced teachers are committed to find creative ways to keep their students motivated to practice and succeed. As they gain more skills playing their instruments, your child’s confidence will soar. Whether teaching a future music professional or an amateur who will appreciate music for life, we strive to form a well-rounded musician and an independent learner. We want to empower students with musical skills that will serve them a lifetime. For this purpose, each lesson covers different element of music learning, such as technique, repertoire, theory of music, sight-reading, aural skills, basic improvisation, music history/appreciation. Hulda holds a Bachelor of Music from Singapore Bible College and a Master’s degree in Piano Performance & Pedagogy from Southern Methodist University (SMU) in Dallas, Texas. At SMU, she studied piano with the renowned Alfred Mouledous and received her piano pedagogy training from world’s distinguished pedagogues: Dr. Samuel Holland and Dr. David Karp. She was a recipient of the Meadows Graduate Assistantship Award and the Meadows Artistic Scholarship Award. While living in Dallas, Hulda taught at SMU and Gray Music School. She was also actively involved in Junior Pianist Guild, Music Teacher National Association, Texas Music Teacher Association, and Dallas Music Teacher Association. Since her move to Australia, Mrs. Budilestari has been an active member of the West Australian Music Teacher Association. Hulda always seek opportunities for professional development by regularly attending piano pedagogy conferences such as National Conference of Keyboard Pedagogy, Piano Teacher Institute (Summer), Australasia Piano Pedagogy Conference, and many music teaching workshops. Piano teaching is Hulda’s passion and she has produced many students who excelled in their piano playing, from beginner to diploma level. Many of her students had received the AMEB Award for Excellence, first place awards in Eisteddfods, as well as very high scores in WACE (Western Australia Certificate Education) music examinations. Children need to enjoy their musical journey while excelling at it. Mrs. Budilestari’s teaching includes creative use of games and teaching aids to bring the fun into the class room. She is a sucker for Iwako erasers, stickers, highlighters and mini post-it; they are as important as notes and rhythm! She is wife to Daniel and a proud momma of a young pianist who wouldn’t trade her for any other piano teachers! 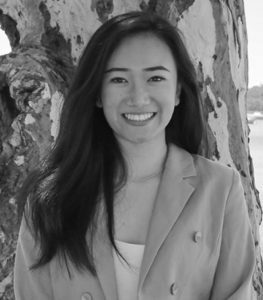 Grace Tan is an Associate Music (AMus) Diploma candidate with the Australian Music Examination Board (AMEB). Piano has been an integral part of Grace’s life. She started her musical journey learning classical piano with Hulda Budilestari when she was young. She has won several First Place awards in South Suburban Eisteddfodd, as well as completed all Pianoforte grades examination by Australian Music Examination Board (AMEB). Being a talented young woman with a strong passion for piano, she continues her musical journey by pursuing a Diploma level in classical piano. Having gone through Teachers Development Program with Hulda Budilestari, Grace has a solid understanding of piano playing technique, modern piano methods, repertoire, and the importance of playing with artistry. Her lessons are structured, fun and enjoyable for students of all ages. 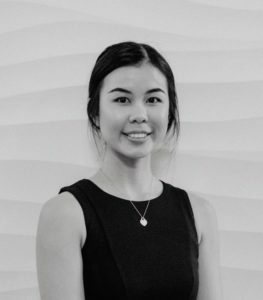 Grace grew up in Western Australia and is currently studying at University of Western Australia, majoring in Finance. She plans to further her study in Law at UWA in the future. When not teaching to studying, Grace takes a great pleasure in culinary discovery and exercising. Charlotte received her Bachelor of Music degree from National University of Ireland, where she graduated with honour. She also holds Diploma in Journalism from Independent College Dublin, Ireland. From early age, Charlotte has been a member of a few orchestras, and upon her graduation she successfully ran her own String Quartet in Ireland for a number of years. Her teaching experience has spanned the last 10 years, teaching students privately and through both public school (music theory, history and education) and music schools (violin). She has successfully prepared pupils for performances, examinations, auditions and festivals. Charlotte is passionate about making learning a fun experience for her students, and love to see them achieve their goals and dreams in music. She teaches beginners to advanced students of all ages, and all her students are progressing tremendously. Beside teaching, Charlotte also maintains a busy schedule gracing Perth’s musical scene with her presence. Among her regular venues is the prestigious Ellington Jazz Club. She proficiently covers a wide musical genre including classical, contemporary, jazz and Irish jig. 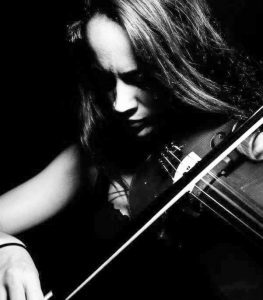 Kendra completed her Bachelor of Music degree in Violin Performance from London University. She also holds Licentiate Diploma in violin from Trinity College of Music, London. Performing and teaching are always parts Kendra’s life. She believes in equipping herself the best that she can, so she can impart her knowledge and skills to a structured manner. This led her to pursue a further study in Graduate Diploma of Education, majoring in Secondary Education at Edith Cowan University. 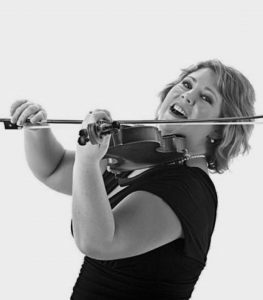 Kendra is a consummate professional in music instrumental education, primarily as a strings specialist. As a performer, she has many years of experience in Orchestral Pit, Theatre, and Chamber works, and she is highly regarded for her attentive and skilled approach to all work undertaken. As a teacher, Kendra has a vast knowledge of various teaching methods that enables her to impart skills and knowledge to her students in a fun and structured manner. She is creatively looking for ways to help her students to reach their maximum potential while having fun at the same time. Her students have achieved high levels of attainment in music examinations and competitions. She is always cheerful and positive; she makes sure her students have a great experience in every lesson. Kendra currently hold string teaching position in Penrhos College and leads Penrhos String Orchestra. 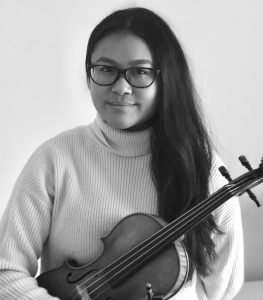 She is also one of the String examiners for the Australian Music Examination Board (AMEB), as well as an adjudicator for various Eisteddfods around Perth. Chiarene received her Bachelor of Music from The University of Melbourne, majoring in Violin Performance. She also completed Graduate Certificate of Commerce from Royal Melbourne Institute of Technology (RMIT). She is passionate about imparting her musical talents to young people and she is certain that music teaching is something that she is called to do. Chiarene believes that every child deserves the best music education, and it is her desire to make music education available to as many children as possible. She is currently pursuing Masters of Teaching degree at University of Western Australia, majoring in Secondary Music education. Chiarene has been teaching for a number of years and has a solid knowledge about string methods and technique, as well as various examination boards. It is very important for her that her students enjoy the learning process. Her calm and gentle nature makes music learning less intimidating for young students. Winnie holds a Bachelor of Music studies (majoring in Piano) from University of Malaysia Sabah with honours. Cello was her second instrument, and during her university life she had numerous performances playing with the university ensemble and orchestra as a cellist. Winnie had also received the Certificate in Music Performance with Honours in solo Piano from Trinity Guildhall, UK. Winnie’s creative mind and her passion for children’s education led her to complete the Diploma in Children Art Education from South Essex College, UK. Winnie has an extensive experience teaching piano to beginners as well as advanced students of all ages, whether they are playing for leisure or aiming to complete piano examinations. She skilfully adapting her piano lesson to suit each student, incorporating technical element, aural, sight-reading, as well as creative activities that make each lesson fun as much as it is educational. Influencing children through music and arts has been Winnie’s passion; she believes every child is special with their unique potential. Besides teaching piano, Winnie was the Director of Art Creation Studio in Kota Kinabalu, Malaysia. Winnie is an active volunteer member of Princess Margaret hospital, organising art sessions for the young patients, as well as being involved with St. John Ambulance as an Early Childhood Educator. Her piano teaching skills, coupled with her passion of children education makes her an ideal teacher for those young students who wants to learn piano at an early age. 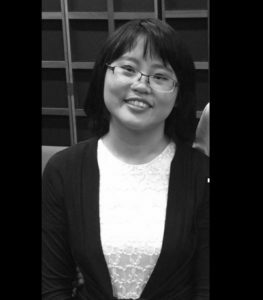 Ling Hui Hsia began her classical piano study at a young age and piano has been in her ever since. She participated in many performances opportunities during her teenage years, and during that time she also completed Grade 8 with the Associated Board of the Royal Schools of Music as well as DipLCM (London College of Music) in Piano Performance. 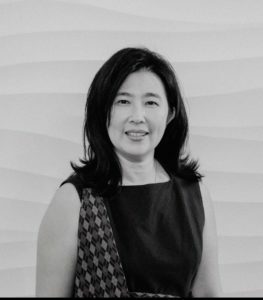 She holds a Bachelor of Technology in Computer System and Networking form Curtin University. 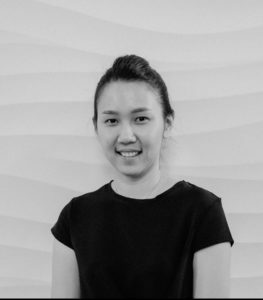 As her passion in piano study and pedagogy continued to grow, Ling continued her musical pursue by studying with one of the finest Australian concert pianists, Anne Sleptsova, at Western Australia Academy of Performing Arts (WAAPA), where she earned her Bachelor of Music degree. Teaching piano is Ling’s passion. 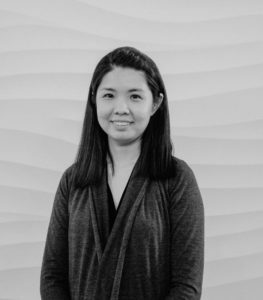 Ling is an imaginative and innovative teacher; she is continuously looking for creative and fun ways to teach musical concepts to young minds, as well as challenging them to meet achievable musical goals. She teaches students of all levels, covering all elements of music learning: technique exercises, rhythm, sight-reading, improvisation, theory of music and a broad range of repertoire. Ling strongly believes in life-long learning and keep developing herself professionally by attending Piano Pedagogy workshops, training, and conferences. She believes that students will get better if the teacher gets better. Gwen’s passion for teaching piano stems from her love for classical piano music since she was young. During her teenage years, she completed her grade 8 from Associated Board of the Royal Schools of Music in both practical piano and theory. She also had the privilege to be a part of the European music tour during her high school year. She received her Bachelor of Music degree from Western Australia Academy of Performing Arts, majoring in Classical Performance under the guidance of the finest Australian concert pianist Anna Sleptsova. Gwen believes that a teacher should continue to learn to keep her teaching relevant and to continue finding new ideas to inspire her students. She actively participates in piano pedagogy workshops, music conferences, and other professional developments. Gwen crafts her piano lessons to suit each student. Her love for young children makes music learning fun and alive. She skillfully teaches beginners to advanced students of all ages. New students may commence at any time throughout the year. All music lesson are done one-on-one weekly. Each student pays a non-refundable annual fee of $60 at the time of enrolment, and then annually in Term 1. This fee is not refundable should you decide to withdraw from lesson. There are 4 terms in a year and each term normally consists of 10 lessons. Payment for each subsequent term is due within 14 days before the end of the current term. Payment not received by the due date will incur a $15 late fee, which will be reflected on the follow-up invoice. Mid-term enrolments are billed on a pro rata basis and will need an immediate payment to reserve the agreed lesson time. Music books, Theory books, examination fees, Eisteddfod fees, etc. are not included in tuition and will be billed separately. You will receive invoice for books or any of the above mentioned musical activities. This invoice needs to be paid within 7 days after receiving the invoice. Your tuition fee reserves a specific, agreed time for your child. Lessons missed by student are forfeited and still charged for. It will not be rescheduled or changed to a different time. The only exceptions to the above term will be illness/injuries with a medical certificate or death in the family. Absences because of illness without doctor’s certificate will be forfeited. If you have planned absences, you can email us at least 4 weeks in advance and we may give you 1 (one) replacement lesson per year at teacher’s discretion. However, we do not guarantee replacement lessons; our teachers are not obligated to give replacement lessons should you decide to miss lessons. You cannot deduct the term tuition fee and pay less than the amount on the invoice without consulting PMA director. Such action reflects disrespect to our agreement and our teachers’ commitment. Lessons cancelled by teachers will be rescheduled. Perth Music Academy reserves the right to provide a substitute teacher if your child’s regular teacher is unable to teach. KiddyKeys and other group classes: classes missed will be forfeited, will not be rescheduled. This policy allows us to keep the finest teachers to work at PMA, and allows us to keep our commitments to all PMA families throughout the year. Tuition fee is for the entire term. No refund is given should you decide to withdraw in the middle of term. If a student must withdraw from their lesson, a 4-week notice is requested. Please email to info@perthmusicacademy.com.au. We understand the important role a teacher plays in a child’s musical journey. Our dedicated teaching team comes from fine music institutions and have undergone years of music training in their fields. To keep their teaching current, our teachers participate in ongoing trainings and professional developments. As a team, all of our teachers uphold the same values and each offers high standard of music education.  All students who are enrolled at the Perth Music Academy become the students of the academy. Should a circumstance arises where a teacher is unable to carry their teaching duties for variety of reasons, Perth Music Academy reserves the right to provide another skilled and qualified teacher for your child. Our team is committed to build relationship with students and parents, as well as to care, give supports and encouragements to nurture a positive learning environment. Perth Music Academy reserves the right, and may give permission to appropriate staff or outside media, to photograph and record (video or audio) classes, programs, and participants at all our facilities and properties. These photos or recordings will be used for promotional purposes. By participating in Perth Music Academy programs, you consent to the video or audio recording or taking of photographs for these purposes. Only students’ first name will be used; full names will not be released without parental consent. To ensure your children’s safety, please be sure to pick them up promptly after lesson time. PMA teachers and staff are not responsible to supervise children in the waiting room or any where in school property before or after lessons. Children are under supervision of the teacher during their instruction time, in the class room only. A recital is held once a year, exclusively for current Perth Music Academy students. Students are required to participate in this recital. This is an excellent opportunity for students to perform in a non-competitive and friendly environment. It also helps to build students’ confidence in sharing their music with others. This is a family affair where family, relatives, and friends are welcome. Recital usually occurs during of Term 3. Date will be advised. The teacher may recommend students for a practical music examination when they are ready. It can serve as a motivation for students to work hard toward a goal. However, some students progress better without additional pressure of examinations. Therefore, a careful decision is made only after consultation between the teacher and the parent/student. Some students will find Eisteddfodd/competitions as rewarding experiences. The teacher may recommend students for a competition when they are ready. Our school operates according to Western Australia school calendar. School opens on Monday public holidays unless otherwise specified. A recital is held once a year, exclusively for current Perth Music Academy students. It is a family event where students are welcome tom invite families and friends and share the joy music. Students are required to participate in this recital. This is an excellent opportunity for students to perform in a non-competitive and friendly environment. It also helps to build students’ confidence in sharing their music with others. Recital usually occurs during of Term 3. Date will be advised. To give students more opportunities to perform in a more relaxed environment, from time to time, we organise a small, casual performance sessions. Once a year we are also holding a Music Camp. This is usually held during the school holiday. The teacher may recommend students for a practical music examination or competitions when they are ready. It can serve as a motivation for students to work hard toward a goal. Some students find these activities rewarding. However, some students progress better without additional pressure of examinations. Therefore, a careful decision is made only after consultation between the teacher and the parent/student. We have moved to a new location in 2017. We are now at 1 Caprice Place in Willetton, Western Australia.